Sequence Osteopathy Approach to Supporting Pregnant Women. Home/Osteopathy, Pregnancy/The Sequence Osteopathy Approach to Supporting Pregnant Women. Pregnancy is such an exciting time but did you know that osteopathy can help in many safe and gentle ways to make you more comfortable through your journey to birth and beyond. Our practitioners at Sequence Osteopathy, Dr Rebecca Burns, Dr Rachel Perry, Dr Joanna Hilbert and Dr Piers Bubbers, all have vast experience treating pregnant women and are very passionate about supporting mums-to-be. Common issues experienced throughout pregnancy include lower back pain, pelvis instability and reflux or heartburn. 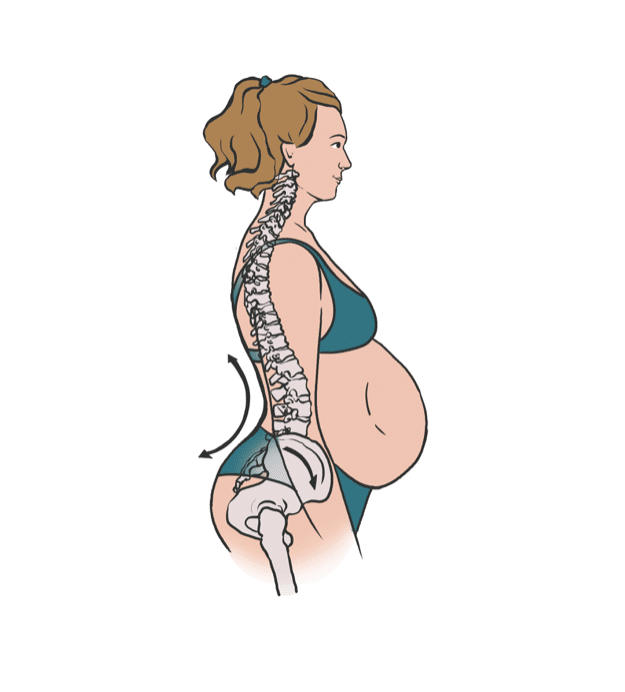 Pregnancy alters the biomechanics of the spine and as your belly grows your centre of gravity moves further forward. This forces you to lean back to maintain your balance creating an increase in your lumbar lordosis curve and this can put a great amount of compressive force through the small joints in your lumbar spine. For many pregnant women this can cause pain and stiffness through their lower back. Relaxin is a hormone that allows your ligaments and cartilage to stretch aiding with birth but also means your joints become less stable. Together with the extra weight of the baby, your softening ligaments and changing posture all contribute to putting pressure on the small joints in your low back often making them feel stiff and uncomfortable. Lengthening of the abdominal muscles to accommodate your growing belly will mean they are less able to support your low back as they were previously. Osteopathy can help to ease tight muscles and improve movement in your joints associated with these changes. You may have heard of pelvic instability which is now referred to as pelvic girdle pain (PGP) syndrome. You may be experiencing pain and tenderness in your pubic bone, which is at the front of your pelvis, or even difficulty walking, rolling over in bed or getting dressed. If you are experiencing any of these symptoms it is wise to seek some advice on best management strategies and avoid dynamic and vigorous exercise. Signs of PGP include shooting pains into your buttocks or down the back of your legs. You may also have pain in your hips, one or both of your legs may feel very weak and you may not be able to lift your legs, particularly when lying down. PGP can begin as early as the first trimester or as late as the last few days before giving birth. Our osteopaths can help you identify and manage any pelvic pain during your pregnancy. Management may include a combination of gentle treatment, prescription of specific yoga or pilates exercises, specific pelvic floor stability exercises, and even wearing a pelvic support belt. Heartburn or reflux is experienced in 50 percent percent of pregnant women. Pregnancy hormones can soften the muscular valve that connects the oesophagus and the stomach allowing stomach acids to splash back up into the oesophagus and create an irritation or burning sensation. Your growing baby also puts pressure on your stomach making these symptoms worse especially in the 2nd and 3rd trimester. Osteopathy can help with the discomfort of reflux by encouraging movement of the structures around your stomach and oesophagus. When you visit Sequence, our Osteopaths begin your initial treatment requesting an up to date history on your current pregnancy, any previous pregnancies, as well as a detailed past medical history. We assess your body looking for areas of strain and discomfort and how your body is coping with the changes in your pregnancy. We also love treating new mums straight after birth and can give postural advice for breastfeeding and pelvic floor rehab and exercises. We love supporting all women throughout all stages of pregnancy and beyond.